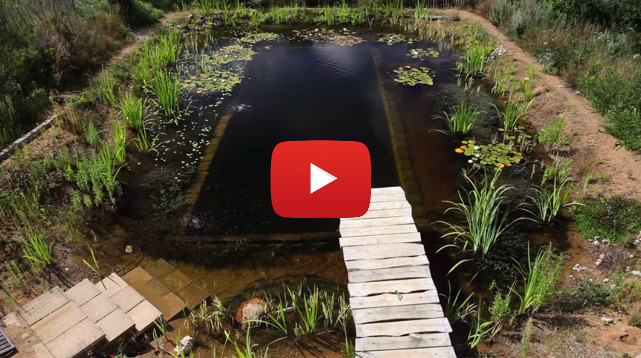 You're about to meet the swimming pool of the future – only this kind is not your typical backyard pool. Instead of using chemicals, this pool is not only much less costly than the traditional pool, but it's made with natural clear water. Handmade by David Pagan Butler, this awesome new invention will hopefully inspire more people to move towards a healthier, more organic lifestyle. David says, “Swimming in natural water is a delight to our senses. Your skin and hair feels soft and your eyes don't sting. It seems as if, every cell in your body is telling you – this is the way swimming should be.” I couldn't agree more! What do YOU think?! Please SHARE this incredible clip!